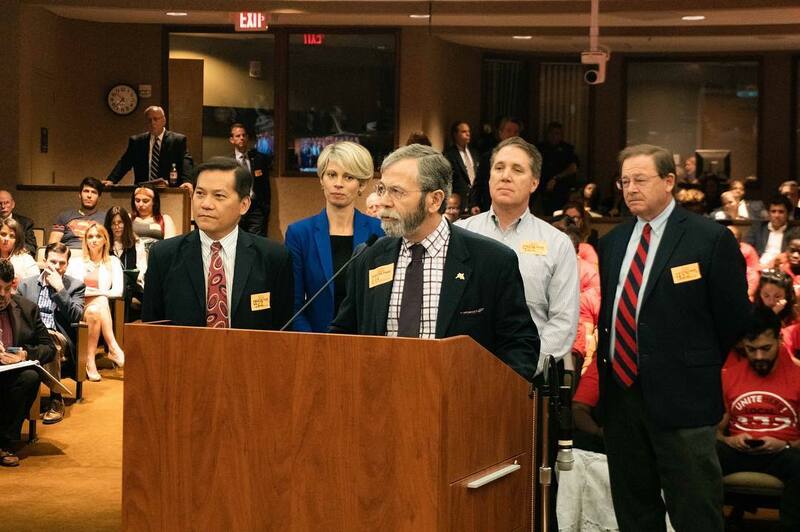 Congratulations to Chairman's Circle member ACR Electronics on being honored by Broward County. 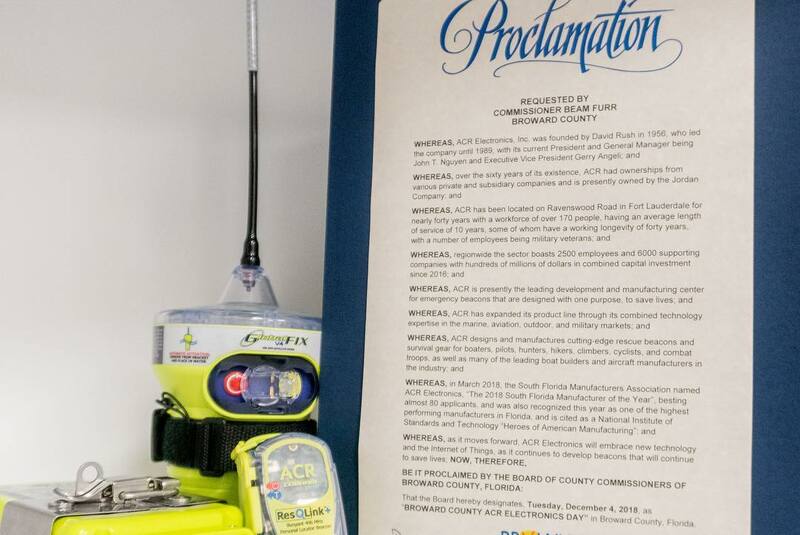 Commissioner Beam Furr led a meeting of recognition, which proclaimed December 4, 2019 as "Broward County ACR Electronics Day." 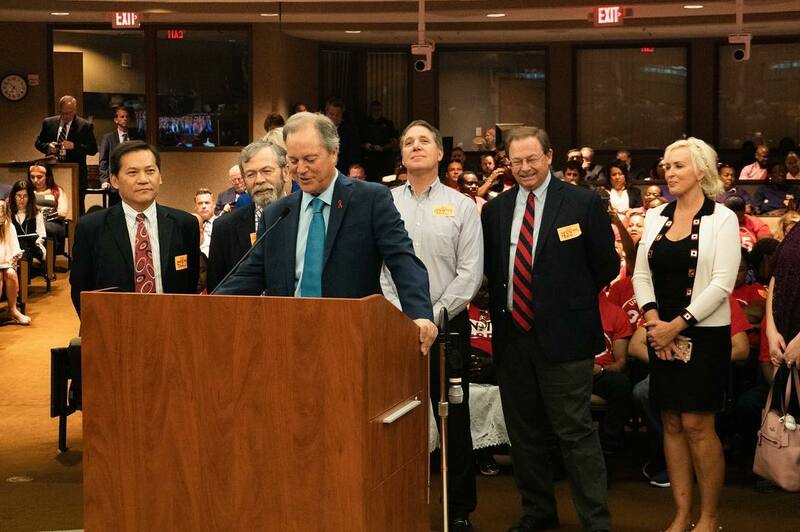 ACR Electronics Vice President Gerry Angeli, who has been immensely involved with the Chamber, was on hand along with several colleagues. Since 1956, ACR’s wide range of survival products have been the choice of NASA, the U.S. Military, the U.S. Coast Guard, and everyday explorers and adventurers across the globe. With everything from emergency locator transmitters and rescue beacons, to the special flashlights used on Apollo 13 after their on-board explosion, ACR builds products that are made to perform during expeditions of all sizes.